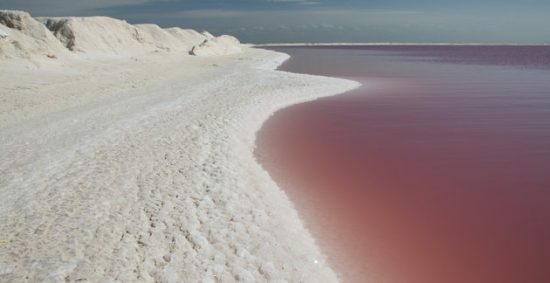 The Huffington Post recently published an article about how pink waters and white sand meet off the coast of Las Coloradas, a small fishing community on Yucatán’s northeast coast. This rosy beach is part of the Rio Lagartos Biosphere Reserve, which protects nearly 150,000 acres of beaches, forests and dunes. While the pink-hued estuary may seem like the product of a magic spell, the reason for its coloring is actually quite ordinary. The lagoon gets its unique color from tiny marine microorganisms that contain beta carotene – a reddish orange pigment. This is not the only body of water on Earth to trade up for that coveted pink hue. Koyashskoye Salt Lake in Crimea alternates between pink and red because of its high concentration of microscopic algae and brine shrimp. Several lakes in Australia are pink for the same reason. But of all the pink paradises, Las Coloradas might be the prettiest. Las Coloradas has miles of pristine, empty beaches, making it an ideal private getaway. One look at the breathtaking pictures below and you’ll be planning a rosy road trip in no time.